Popular VOIP service Discord, targeted primarily at gamers, has played host to some rather nasty pieces of malware. If you’ve ever played games online with friends then you’re probably familiar with a VOIP service of some sort. 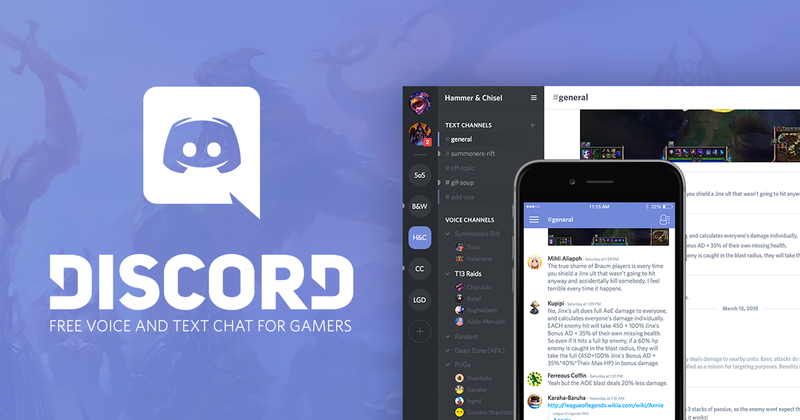 Discord is a very popular choice for online gamers around the globe, but recently it’s been used for more than just some harmless escapism. Attackers have been posting links and files either directing to malware laden download sites or directly downloading malware. Mark James, ESET IT Security Specialist, fills us in on VOIP services and how they’re being used to deliver malware. “With so many of today’s gaming features costing money very often when they are offered for free the uptake is huge. “One of the features a lot of gamers use is chat channels: they enable synchronised gaming with the added bonus of bringing together peoples voices in one place. “This may just be to chat about your favourite game or get involved in the community or may be used to host important instructions or leadership during guild or communal events. Much of what Mark recommends for protecting yourself from this, or other similar future attacks, we’ve said before but it bears repeating. “Protect yourself by installing a good multi-layered regularly updating security product will help to keep you safe, keeping your operating system and applications up to date. “Always try where possible to check the validity of any links and ask around, if others have been infected they will often be quite vocal about it. “If your able try to manage who has access or permission to your servers or chat rooms, and always remember if it looks too good to be true it often is. Join the ESET UK LinkedIn Group and stay up to date with the blog. If you’re interested in seeing where ESET has been featured in the news then check out our ‘In the news’ section. Older #Selfie mode to replace cash cards? Newer Virtualization: Is it right for you?